Wednesday’s attack on Indian Embassy in Afghanistan apparently is the biggest ever, but it was not an isolated one. Terrorists have attacked India’s diplomatic interests in the country dozens of times over the years. Here are some of the major attacks since 2007. December 2007: Two bombs were lobbed into the Indian consulate in Jalalabad. There was however, no casualty or damage. 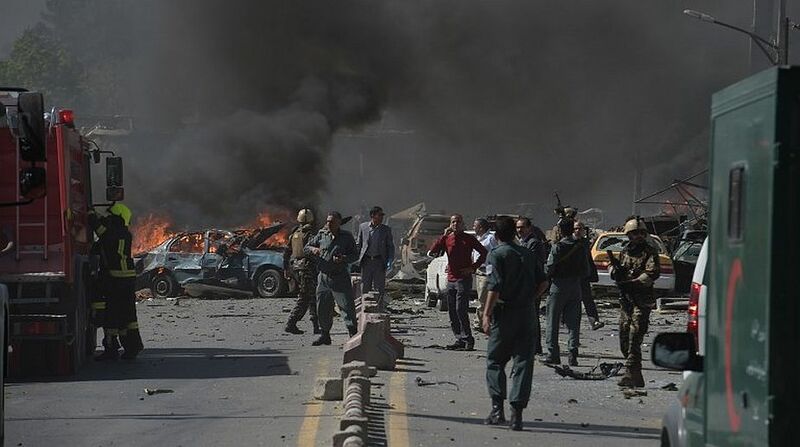 July 2008: A suicide car bombing took place near the Indian Embassy in Kabul on 7 July 2008, killing 58 people and injuring 141 others. October 2009: In this attack near the Indian consulate 17 people were killed and 63 others were injured. Some Indianjawans were among the injured. The Taliban claimed responsibility for the attack. February 2010: In this attack on a guest house, nine Indians were among the 18 killed. In this bombing and shooting attack, terrorists attacked Arya Guesthouse (also known as Hamid Guesthouse) in Kabul. Among the dead were Army, ITBP personnel and doctors from India. August 2013: An explosives-packed vehicle with three suicide bombers hit a barrier near the Indian consulate building in Jalalabad. Nine civilians, including six children, were killed in the attack. No Indian official was harmed by the blast. May 2014: Another Indian diplomatic facility in Herat, western Afghanistan, was attacked on 23 May 2014. Four attackers launched an attack, which was thwarted by the ITBP and the Afghan security forces. May 2015: Four Indians were among 14 people killed in an attack at a guest house in Kabul. India’s Ambassador to Afghanistan Amar Sinha was the target of the attack. January 2016: Three Afghan cops were killed when a suicide bomber blew himself up 200 metres away from the Indian consulate in Jalalabad. June 2016: Two Indians were killed in a blast in Kabul. Indian nationals Ganesh Thapa and Govind Singh died in the blast.